Thank you for visiting our Sutter Creek website. When, in town, we hope you will stop by our Sutter Creek Visitors Center as well. Please use the information below to contact us – via email, phone, posted mail … or fill in the form. We will be right back in touch! 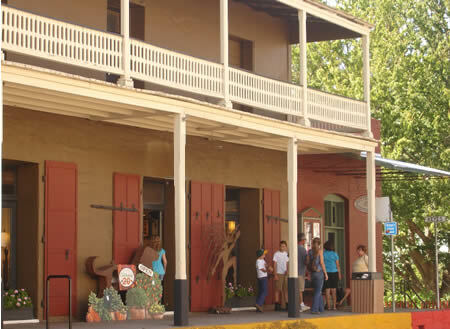 Guided walking tours take visitors on a walk past Sutter Creek’s historic downtown and residential buildings dating from the late 1800′s. The Center itself serves as a dramatic venue for black-and-white photos revealing Sutter Creek’s Gold Rush past. Maps and on-line souvenirs are available here. The Visitors Center is open daily.